I’ve always found that there’s no better way to photograph a new destination than with a local. So, when my buddy Valentin offered to show me around Romania, I couldn’t pass up the opportunity. Honestly, I really didn’t know what to expect from the country, so it was probably for the best regardless. 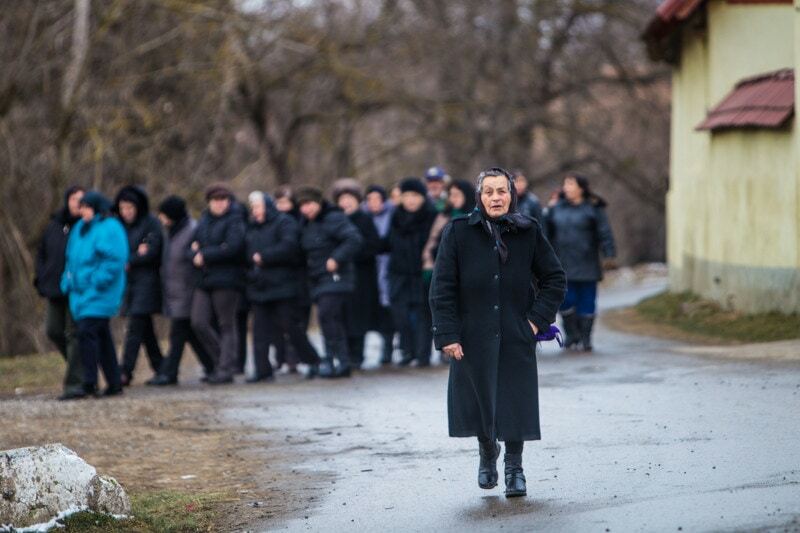 I knew that I wanted to put my focus on Transylvania, and that’s exactly what we did. After catching the train from Budapest to Brasov, Valentin showed me around some of the coolest places in Romania. And, yes, I would have loved to see a bit more of Romania. Places like Cluj Napoca, and Sibiu are on my radar for trips this year as well. But for now, let’s focus on my photography and travel exploits in Transylvania. I get teased a bit by other travel bloggers and photographers for my lack of planning. Usually, when I travel to a country for the first time, I simply google the country and then try to pick one of two locations to start my exploration. That’s it. I know, it’s not very smart. But, in limited time, I think that I manage to get a good feel for the places I visit and can make decisions on where else I’d like to visit on future trips. When I did my quick research on Romania, the name that kept popping up again and again was Brasov. So, that’s where I went. 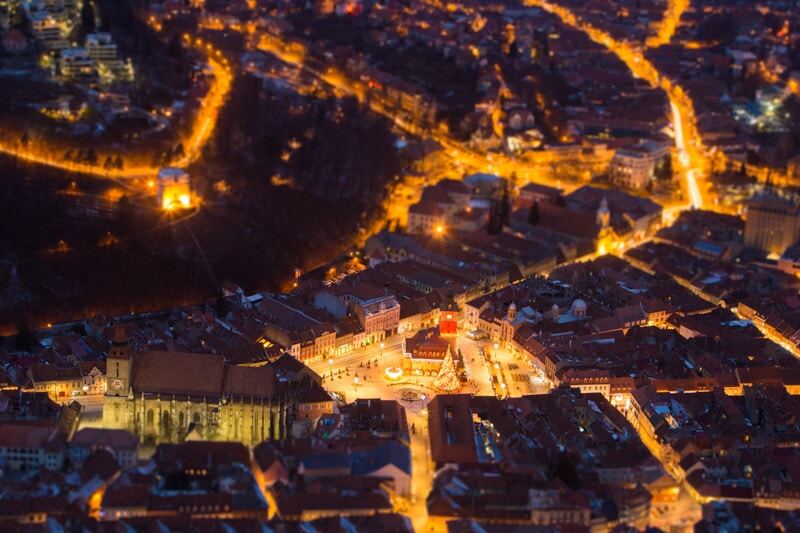 It’s for good reason that Brasov is so popular among travellers, it’s absolutely stunning. Moreover, it’s found right in the heart of Transylvania, and a great base to photograph some of the castles in the nearby area. 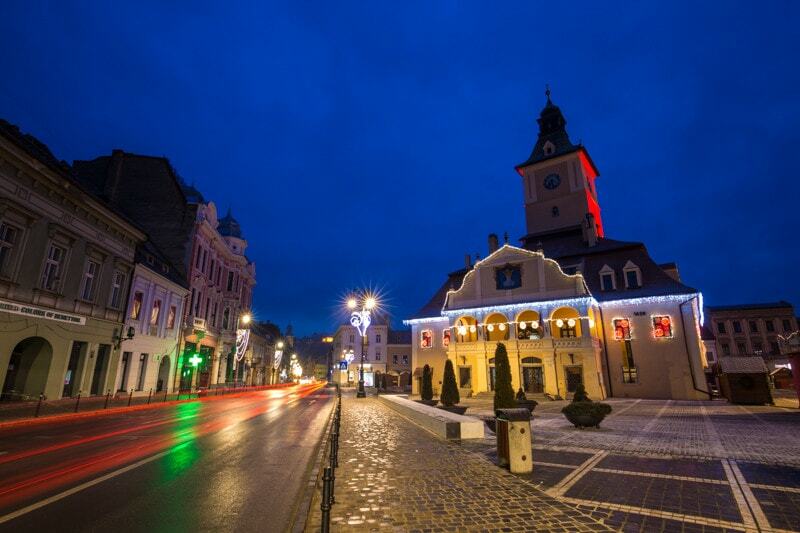 There are endless photography locations in the area surrounding Brasov and within the city itself. But, I’ll try to narrow it down a bit to just a couple. If you want a classic photo of Brasov, climb up to the top of Tampa Peak. Although it was closed when on the day I went up, there is a cable car that goes to the top. Or, you can hike up like I did. It takes about 30-45 minutes from bottom to top. Up there, you get a really sharp angle looking down on Brasov. The images almost look areal because of the height and angle you’re shooting from. I shot most of my images on a 70-200mm lens and focused on the square. It seemed to work out well. The view from Tampa Peak. 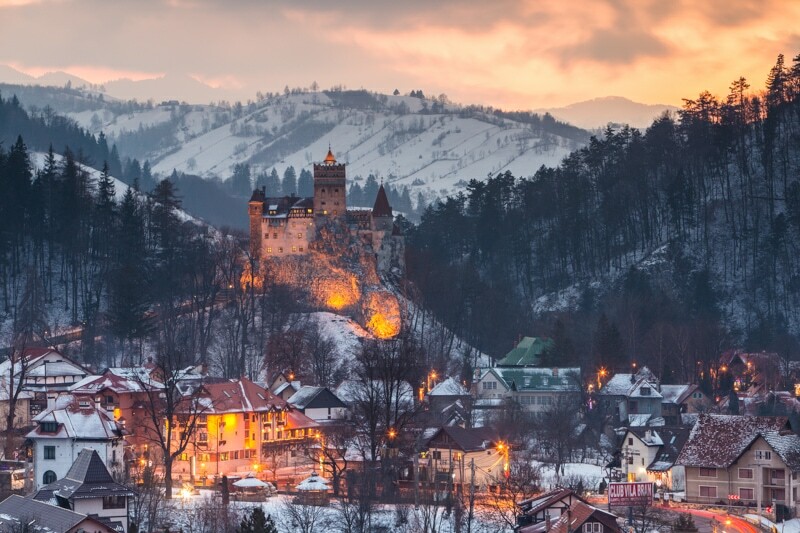 Obviously, Bran Castle is a favourite. It is, of course, “Dracula’s Castle”. Although, history tells us that Vlad the Impaler actually had little, if nothing, to do with the castle. In fact, most say that his only actual tie to the castle is that his grandfather once owned it. However, thanks to the fame brought to the castle from the book, Bran Castle is now the most visited place in all of Romania. Photographing the castle is actually a bit of a challenge. The castle itself is a bit barren. One thing we did was slipped the security guard a touch of cash and he took us up to tower which is off-limits to tourists. You can get some cool shots from there. Then, around sunset, we drove up to a restaurant/resort above the town of Bran for an overview shot. This was an absolutely gold location to shoot from, and I’m extremely happy with my photos from here. This is the most popular image I ever shared of Facebook. It got over 3 million impressions. Crazy!! 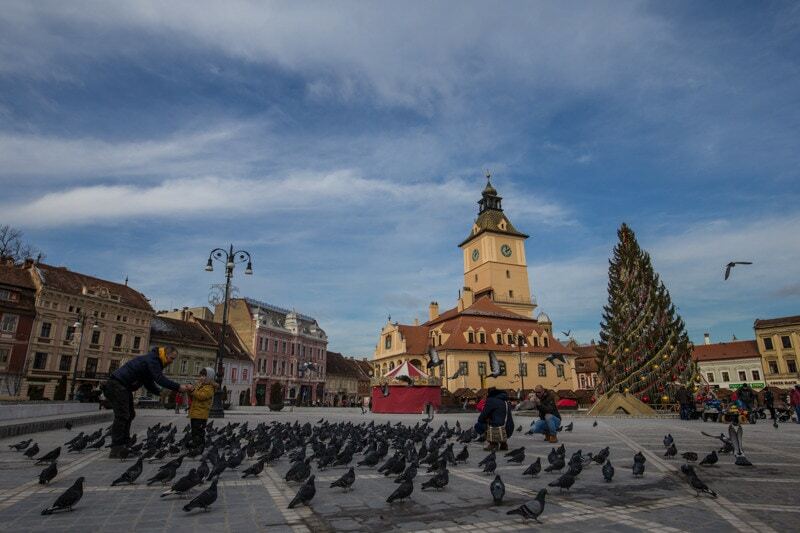 Probably the most obvious place to shoot in Brasov is the square. The architecture is cool, the churches are beautiful, and it’s very photogenic. It definitely also has a different feel to it than a lot of the squares in Europe. Pigeons in the main square. There are so many castles in Romania, that it almost gets to be a bit silly. Really, it seems like every corner you go around, there’s another castle on the hills. 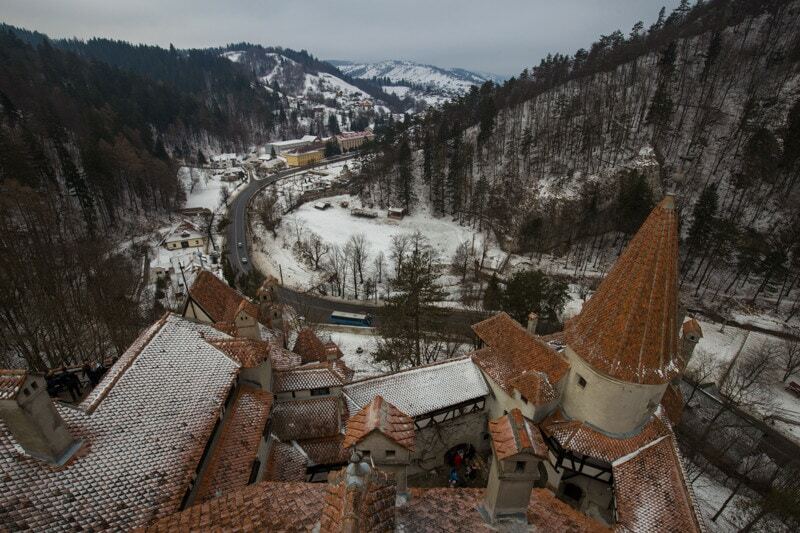 And well Bran Castle might get all the fame, there are definitely more impressive castles in Romania. Rasnov Castle is very cool, and highly recommended by anyone that’s visited. Unfortunately for me, I didn’t have the time to go inside. If you’re visiting Romania and you want an authentic look at something that actually has to do with Dracula, this is where you should go. 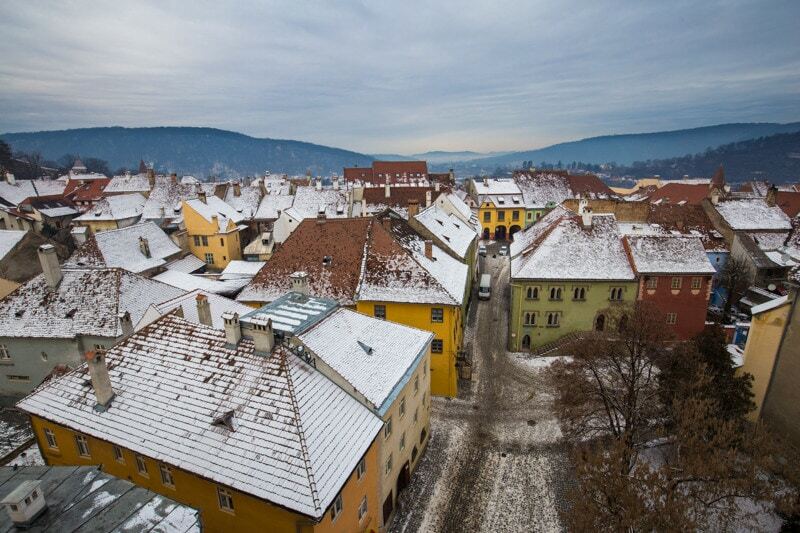 Sighisoara is where Vlad the Impaler was born, and you can visit the house he was born in. But beyond the fact that this is Dracula’s hometown, Sighisoara is a really cool place to visit. In fact, I may have even found it more interesting overall that Brasov. In town, you can climb up the watch towers, or go up the cathedral for fantastic views of the city. 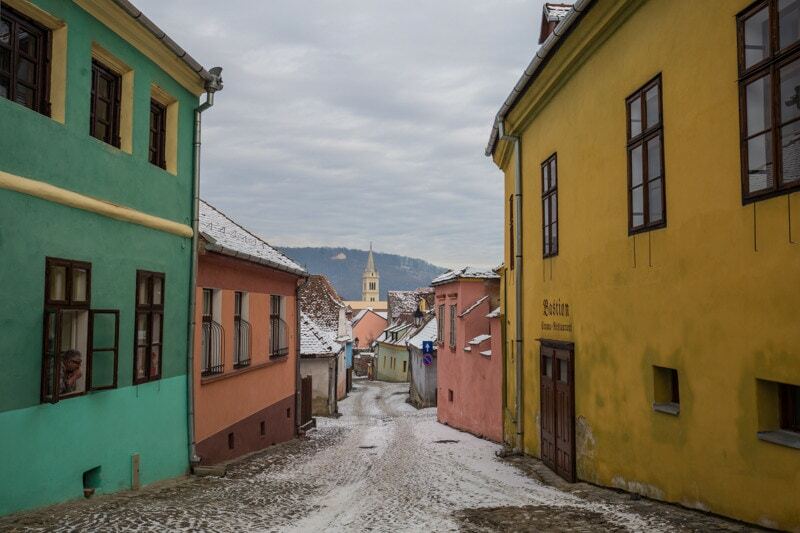 Sighisoara is definitely worth a day of your time. I was blown away by the beauty of the drive from Brasov to Bucharest. We went up through the mountains and into some heavy snow. We passed by a couple of ski resorts and also stopped at Peles Palace. This was, for me, the most interesting palace I’ve visited in Europe. Yes, both Melk and Schonbrunn Palaces are amazing, but Peles was extremely interesting to me. A village in rural Transylvania. 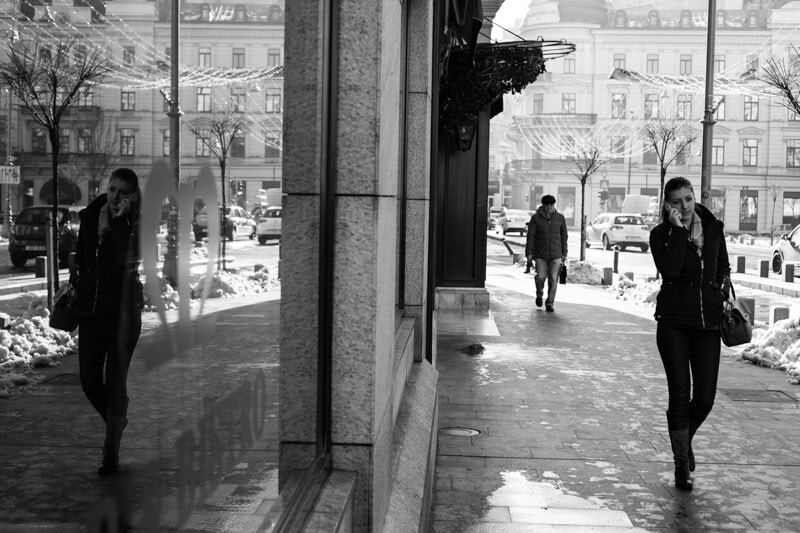 I had intentions of spending some time in Bucharest to do some photography. However, I found myself swamped with work and I wasn’t really able to shoot as much as I wanted to. I did, manage to get a couple shots in the city though. 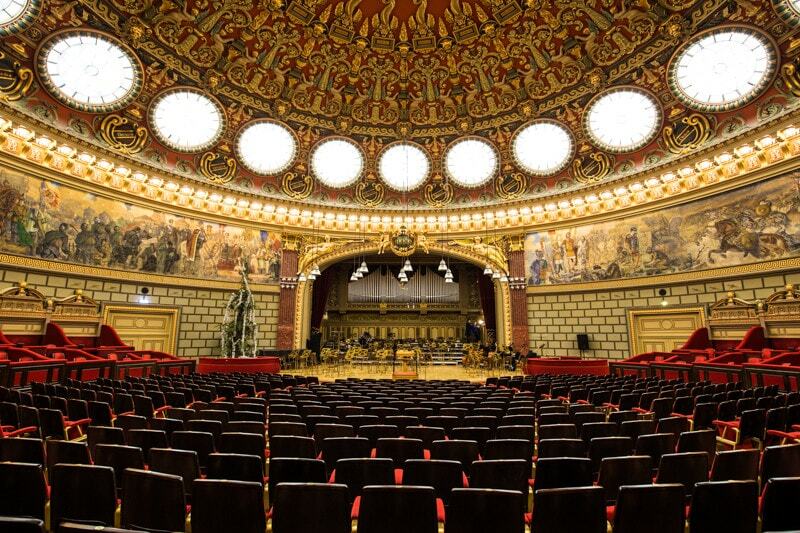 The Bucharest Philharmonic building is amazing! Is Romania Photography Workshop Worthy? I’m always looking for new destinations to run my travel photography workshops. And, I’ve actually been asked about running one in Romania. So, I think I need to say this: Romania is absolutely photogenic and worth a photography workshop. It has beautiful landscapes, lots of history and architecture, and there are also villages and people in the rural areas that would make great subjects. That being said, I really feel like it would be a challenge to fill a group. I’m not sure if Romania is on the radar of enough people yet. So, for now, I don’t think a trip to Romania is in the cards unless specially requested by enough people or by a group. Eventually, however, we would love to run something here. What’s Next on my Travel Photography Blog? After Transylvania, and a quick stop in Bucharest, I made my way into Sofia. I spent just a couple days there before pushing on into Greece. That’s where my next couple episodes will be coming from. Beautiful pictures! What a great trip! It seems so different seeing buildings/houses without yards, just right in the road. Oh, they have yards Shelly. Just on the inside. They built houses like this in this part of the world so that they would serve as a natural fort if the town was ever attacked. It’s actually really cool to see. Hi! Great post! I’ve just managed to get some very cheap flights to Bucharest in March and am hoping to spend a day or 2 in Brasov. May I ask the name of the restaurant/resort where you took that fantastic photo?! Can’t wait to visit; willl be a childhood dream coming true moment! Haha. Thanks! I actually can’t remember the name. But, if you’re in Bran and ask people know. It’s like a hotel/restaurant/kids park up on the hill. Every taxi driver will know it.